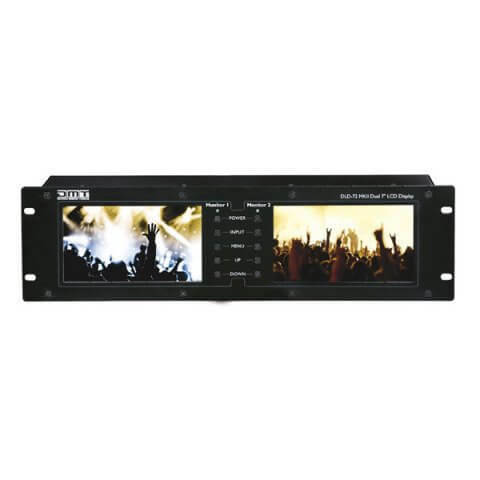 The DMT DLD-72 is a professional rack mount double monitor system. 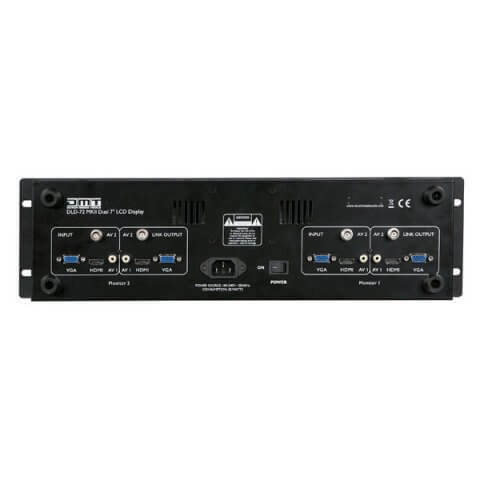 It can be used for VJ monitoring, surveillance systems and any other multimedia setup where monitoring is necessary. It is equipped with the most common inputs, BNC, RCA and S-Video. You can adjust the screens to your desired settings with easy separate menus for each screen.